The Zoom H2N is a compact yet robust handheld portable recorder. Featuring some of Zoom's best microphones so far, the Zoom H2n has 5 intergrated Microphones with 4 selectable recording patterns and records straight on to an SD/SDHC Card (Up to 32GB). 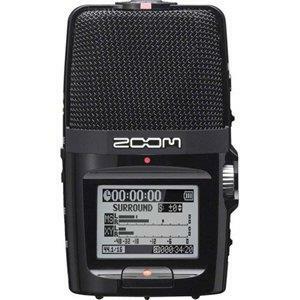 Ideal for field recording, the Zoom H2N features Mid-Side Stereo recording which allows you to record ambiance and background noise when needed, a technique used a lot in film and broadcast. Representing a new generation of portable recording, the Zoom H2n is Zoom’s most innovative handheld recorder to date. 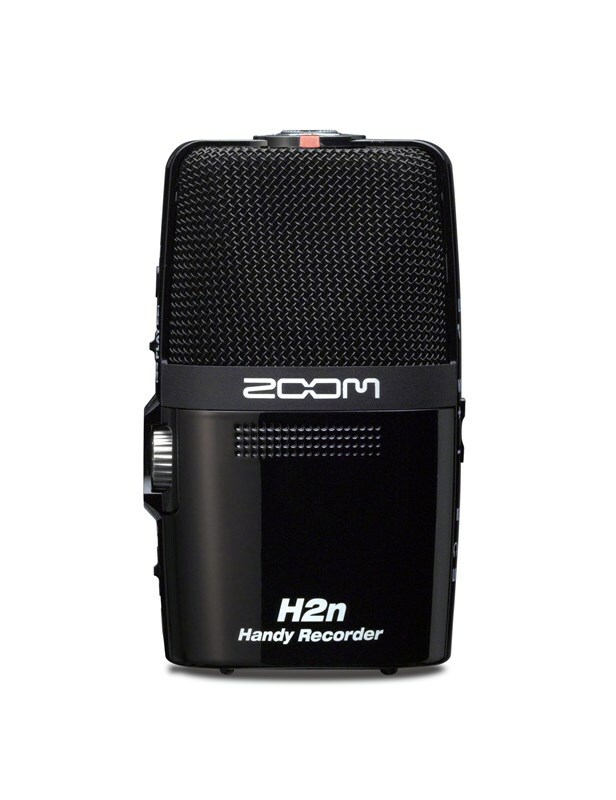 The Zoom H2n features Zoom's best microphones yet and is the only portable recorder with five mic capsules onboard. 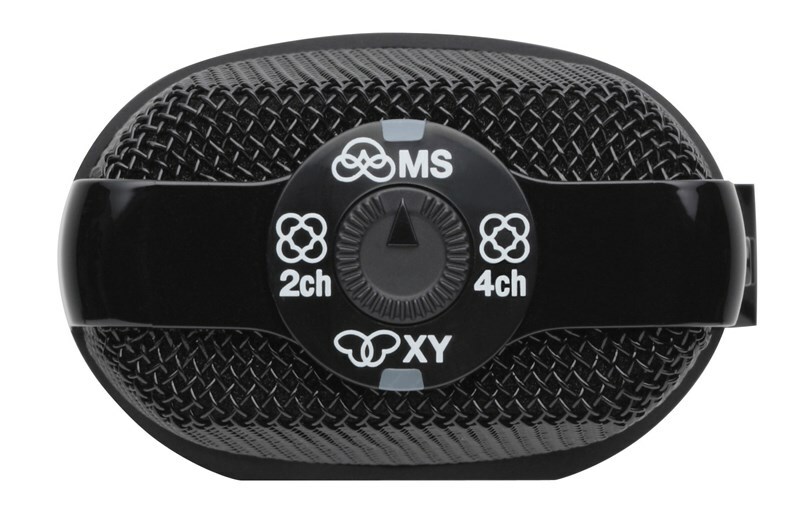 This design enables the H2n to offer four unique recording modes: Mid-Side (MS) stereo, 90° X/Y stereo, 2-channel and 4-channel surround sound. The Zoom H2n is the first handheld recorder to offer Mid-Side stereo recording, a technique used for many years in film and broadcast, where ambiance and surrounding noise are crucial. Mid-Side recording combines a uni-directional Mid mic that captures sound directly in front of you and a bi-directional Side mic that captures sound from your left and right. By increasing or decreasing the level of the Side mic, you can control the width of the stereo field, which gives you incredible flexibility over your recordings. If you record in RAW mode, you can even adjust the stereo width after recording. Using the H2n’s Mid-Side and X/Y mics together, you can create stunning 360-degree surround sound recordings. 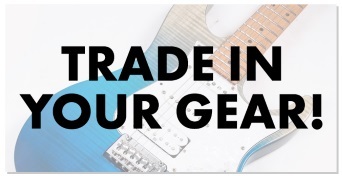 Choose between 2-channel mode, which combines the Mid-Side and X/Y mics, and 4-channel mode, which records two separate stereo files, allowing you even more post-production capability. 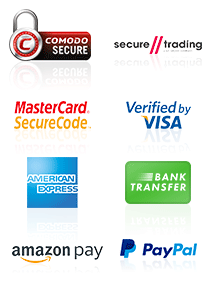 No matter which mode you use, you’ll get perfectly balanced, surround sound recordings. The Zoom H2n comes with Steinberg’s WaveLab LE 7 professional audio editing software. 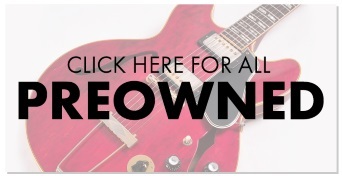 By using its precise waveform editing and high-quality processing, you can refine your recordings into finished works. The Zoom H2n's additional functions include: Lo-cut Filter, Compressor/Limiter, Auto Gain, Pre-Rec, Auto-Rec, Tuner, Metronome, Variable Speed Playback, Key Control, A-B Repeat, File Dividing, Normalize, MP3 Post-Encode, Marker and Surround Mixer.